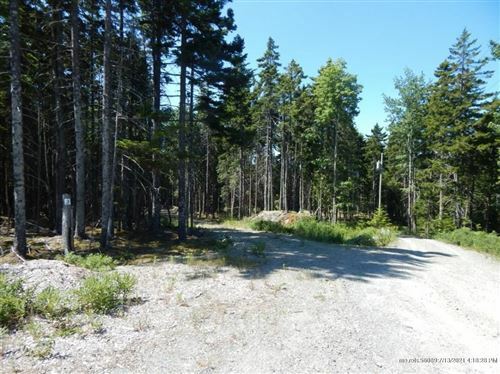 As local real estate agents who really know our local area, we bring you a wealth of knowledge and expertise about buying and selling real estate in all the towns and villages of beautiful Mount Desert Island, Maine. You know that real estate is a local business. You need someone local you can trust for up-to-date information and good counsel. We are eager to help you achieve your real estate goals and desires. Here's our team! Below, you'll find a brief bio the happy faces of each of our associates. We all work together to help provide you the best customer service we can. As we do business together, you may receive communications from an associate other than your initial contact here at the company and we mean no confusion. Whenever you'd like to talk with us, please feel free to call or email the associate who contacted you originally. Or call or email any of us anytime! We'd be happy to help! Lisa Tweedie lives with her family in Bar Harbor, Maine, where she grew up. Running, biking, hiking and swimming are some of Lisa's hobbies which allow her to enjoy the beautiful landscapes of Mount Desert Island and Acadia National Park. Lisa has a Bachelor of Science degree in Family and Consumer Studies from the University of New Hampshire, and a Masters Degreee in Education from the University of Maine. She is the dearly-beloved Wellness Director at Harbor House in Southwest Harbor. Lisa brings a wide variety of local island knowledge and experience to her clients and customers, and would love to help you achieve your real estate desires and goals. eMail Lisa: lisaatweedie@gmail.com, or reach her by phone or text at 207-266-4196. Kelli Anderson Clark lives in Bass Harbor, Maine with her two children, Drew and Lexi (Drew is in college). Kelli grew up in Ellsworth and graduated from Saint Joseph’s College in Windham, Maine with a Bachelor of Science in Elementary Education. She has been a teacher in the Mount Desert Island school system for the past 18 years. She is currently a Master Teacher at Pemetic Elementary School in Southwest Harbor, specializing in English and Language Arts. Kelli is also enthusiastically realizing her goal of helping her clients achieve their goals of home ownership. If you are ready to buy or sell a new home or land, please give Kelli a call or text, or email at kmarteach@yahoo.com. Shelley Gott Miles grew up in Seal Cove, Maine, and graduated from Mount Desert Island High School. She earned a Bachelor of Science in International Business and Logistics from Maine Maritime Academy (where she was a star basketball player). Shelley and her husband Ricky live on a lake in Ellsworth with their sons Cooper and Bentley. Shelley has been involved in the business since she was a kid, growing up in the family real estate and construction business. Please call Shelley at 207-266-6500, or email her at ShelleyMiles@rocketmail.com. Norman Hansen has more than thirty years of commercial real estate experience in Maine and Florida. He and his wife Jane are the long-time owners and operators of the renowned Log Cabin Restaurant in Bar Harbor, and also of Hansen's Landing convenience store in Bass Harbor. Norman has a long history of entrepreneurship, and offers expert real estate counsel pertaining to restaurants, convenience stores, lodging facilities and real estate investment and development, especially shoreland and upper-tier homes. If you're looking for a wealth of experience in commercial and investment real estate, Norman Hansen may be exactly whom you're looking for. David P. Dodge is the Designated Broker at Margo Stanley Real Estate. David has many years' experience counseling real estate sellers and buyers on Mount Desert Island and the surrounding areas. David has sold multiple millions of dollars' worth of real estate during his career, has owned and managed several successful real estate companies, and coached and consulted with thousands of buyers, sellers and agents over the years. You can reach David Dodge at dpdodge@gmail.com, or call or text him at 207-266-0034. We'd love to meet you and work with you on making some exciting changes in your life! Whether you're selling or buying, whether it's a house or land or a beautiful parcel of oceanfront real estate, we welcome your calls. Please feel free to text or call or email at your earliest possible convenience. Every journey begins with a single step! Thank you for visiting!